In this hyper-digitized age, technology is a seemingly ever-expanding industry, with a wealth of job opportunities within it. It’s not just about coding ability anymore: tech companies need leaders, strategists, critical thinkers, and the distinctions between technology and more ‘traditional’ business are quickly eroding. This means that there are more opportunities than ever before to build an exciting career in tech—and indeed, the rounded skillset that an MBA provides could help you do just that. It worked for Federico Selle, an MBA grad from IE Business School in Madrid, Spain. 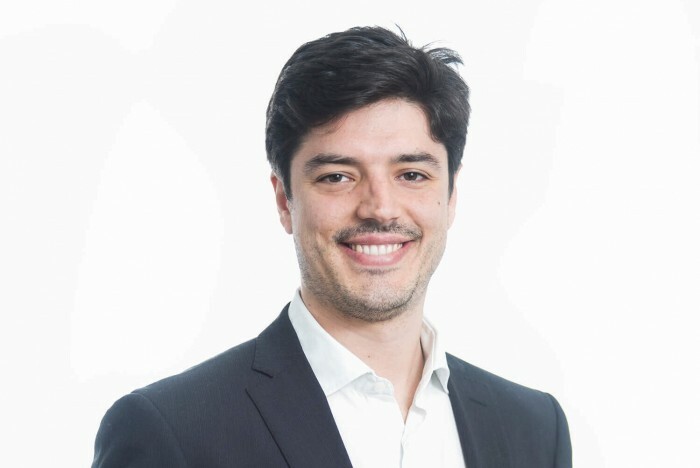 Before starting his MBA, Federico had been working in tech consultancy for PwC in his native Italy, as a senior associate in their Milan office. His main focuses at PwC had been digital transformation and digital strategy, both dynamic facets of the tech world—however, Federico was looking for something more. Why did you decide to do an MBA at IE Business School? I decided to join IE for the MBA because I was looking to have a broader career, outside Italy. I wanted to find some time for me to have some deep training—to refresh my mind after seven years in consultancy. I analyzed a few main things. First of all, the cost: doing an MBA can be very expensive. A one-year program instead of a two year program was appealing. Secondly, the quality—I did my research, talked with a few people, and found that IE could marry a one year program with one of the best courses in Europe. Did the program deliver on your expectations? Yes! After the MBA I’ve talked to other people who are interested in joining IE Business School and I usually share positive feedback—my expectations were met, and I personally achieved the objectives I had on my side. I had a very positive experience. How did the school provide resources for you to further your tech career? At the time, I didn’t know which industry I was looking for, and was open to any kind of experience, so for me it was about meeting people. I went to three or four conferences in Europe to understand what different industries were about, and to meet people. With that, I eliminated some options, and in the end I found an opportunity for an MBA internship with one of the biggest tech companies now, Salesforce. I did it, and I liked the experience—after the MBA, the final step for me was entering the industry. What stands out from your experience on the MBA at IE Business School? I really enjoyed the fact that the course combined a lot of things. It was also challenging on that front, because you combine a lot of educational activities and courses with laboratory work and group work. We had a lot of group work, which I think is very important because you always work in teams. The university was also able to organize a lot of social events, which is another important thing—in the end, the value is also in meeting other people. How do you think the MBA at IE Business School has impacted your career? Right now, I’m in the professional service team at Medallia, a customer experience company. We have a cloud-based platform where we help companies to improve customer experience, and I’m an advisor in a professional service team. The way the MBA helped me to get this job was first of all by giving me more international exposure. Having mainly worked in Italy before, the international experience helped me in dealing with companies. Secondly, the MBA internship in the middle of the MBA helped me boost my currency in the tech industry. It’s something that I often suggest that students do—it was a moment for me to think more broadly about my career and what would be the best path for me. Who would you recommend the MBA at IE Business School to and why? It’s a very diverse environment, so it’s very open to everyone. I would recommend it to someone who already has a few years of experience, because you can understand most of it better if you have experience in the field. The position of the university is more entrepreneurial, because it has a lot of activities that are tailored towards entrepreneurs, but I think it can be extended to any other type of young professional with ambitions to achieve the best from their careers.